Strathclyde Windscreens specialise in windscreen replacement whilst working alongside your insurance company. We can offer you an insurance approved windscreen replacement and repairs, directly invoicing service to all major insurance companies. Meaning if you have fully comprehensive insurance then we can invoice most insurance companies, ask us for more details or call your local fitter from our contact list and we should be able to advise you. We work closely with most of the UK’s major insurance companies and so chances are you could be covered for a repair or a replacement windscreen. Contact us now and once we have confirmed your appointment with you, we’ll take care of your insurance claim. 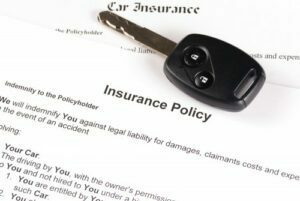 We will contact your insurance company on your behalf, get their approval to carry out the work and take care of all the paperwork involved, making the repair or replacement hassle free and quick saving you time and getting you back on the road quickly. When you are claiming a repair or replacement through your insurance company then it may be of use to you to know that for most insurance claims glass repairs and replacements should not affect your no claims bonus. In some cases you may be subject to excess. This excess fee is part of your insurance terms and conditions and you can find this out by referring to your policy document. If you have fully comprehensive insurance, simply produce your certificate of insurance at the time of the repair and the cost of the replacement we will be billed to your insurance company directly (limits may apply*). If your insurance policy does not cover windscreen damage for repair or replacement then don’t worry, you may still be eligible for a discount off the repair at the time of replacement, please note that any jobs out with insurance coverage require a pre-payment at time of fitting or prior to fitting.